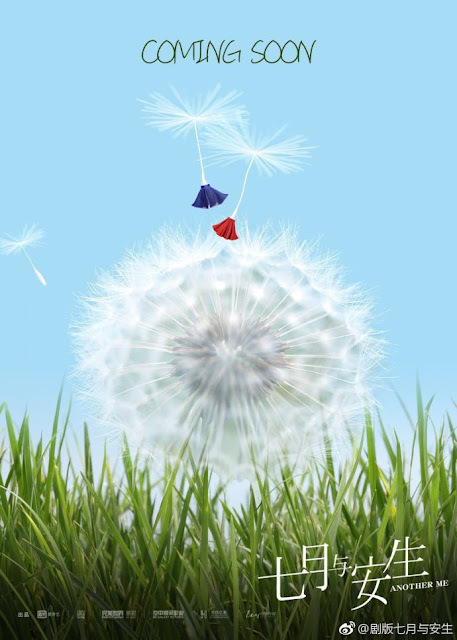 Fresh from wrapping up the Meteor Garden 流星花園 reboot, Shen Yue is kicking off another drama series with Chen Duling (Operation Love) which is based on a critically acclaimed movie, Soulmate. The new drama titled Another Me 七月与安生 had its booting ceremony last May 6, 2018 in Ningbo, China. 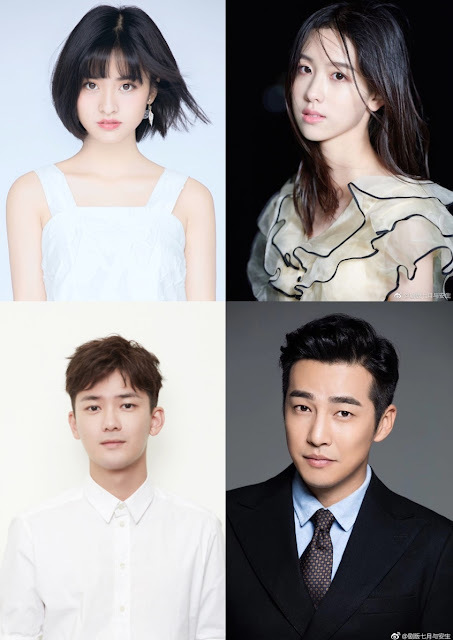 In the series, Shen Yue will be playing one of the titular roles, An Sheng while Chen Duling will be Qiyue. An Sheng's ex boyfriend Su Jiaming will be played by Dylan Xiong Ziqi (My Mr. Mermaid) while Han Dong will be played by Zou Ting Wei (Siege in Fog). Moreover, Meteor Garden star Connor Leong who plays one of the F4 as Mei Zuo will be making a special appearance as Jiu Yue. The movie has received several nominations from several award giving bodies like the Taipei Golden Horse Film Festival and Awards where its leads Zhou Dongyu and Sandra Ma made history by jointly winning the Best Actress award in 2016. Newcomers Shen Yue and Chen Duling will definitely have very big shoes to fill. In spite of having a tough act to follow, production has been low key so far with hardly no promotion at all. Save for a few fans who took photos of filming, there's nothing much out there yet. It could be a marketing strategy. Whatever the case maybe, it's definitely one to watch out for. Um are you new to cdrama? This drama literally just just announced the casting less than one month ago, obviously theres no promotion yet. What do you expect? Its the same goes to 928828 other cdramas whos been lowkey in production, if you actually paid extra attention to other dramas,and notjust to drama you care about. Another Me isnt special duh. Promotion usually comes out after at least 2/3 months filming has taken place. For now of course you can only rely on fanpics. And more promotiom will be out after a drama finished filming and once it has secured airing date. Why are you being so rude over such a minor matter? It's not that serious for you to have such an unpleasant and unnecessary attitude.